Today’s society moves at an amazing speed such that cultural touchstones become obsolete in a matter of days and our sources of entertainment are constantly being updated or replaced. Advertisements offer us the latest and the greatest versions of whatever technology we have just begun to learn how to use. In a world such as this board games are already at a severe disadvantage. It is difficult for a board game to offer the sort of instant gratification that other media can. Yet, people continue to toss dice and move pawns, sometimes playing the same game over and over and over again. What drives us to do this? While a brand new chess set might look amazing, it still offers the same game that you’ve played before. I believe there are two compelling forces that encourage us to keep re-playing games. Discovery and mastery. Discovery is the thrill of finding something new and figuring out how the game’s systems work together. For me the pleasure of discovery begins when I first read the rules of a new game. As I go through the list of rules I visualize the future conflicts and decisions that will arise. I think about how my goals will be thwarted by my opponent’s moves and what actions I can take to do the same to her. The intellectual stimulation of discovery comes from learning something new, from experiencing something different, or from being creative yourself. Often with new games I will enhance the pleasure of discovery by making winning a subsidiary goal to exploring the game itself. In other words if I have to choose between a move that seems like a good move and a move that will make things happen, I choose the latter. In general, discovery promotes re-playing games that are either very complex or have a large variety of experiences. Chess is a very complex game that allows for creative thinking even though the game is setup exactly the same every time. Trivial Pursuit, on the other hand, is a very simple game, but it too creates a sense of discovery thanks to the sheer number of questions one might have to answer. Other games, such as Perudo or Cluedo or Scrabble, encourage creative discovery by creating very different game states from play to play. A game of Scrabble that starts with a two-letter word might be very different than one that starts with an eight-letter word. Although you can learn the rules to Cluedo in a few minutes each game will require you to reset your thinking and try to discover the answer all over again. As long as these games keep presenting us new challenges or decisions or opportunities to learn, we keep playing them. Players who enjoy the excitement of discovery will tend to play a wide variety of games. There is a rate of diminishing return each time you play the same game, so that the tenth time you play the game might only give you a small portion of the pleasure of the first time. This is where mastery comes into play. The thrill of mastery is in exhaustively exploring every nook and cranny in a game’s design. 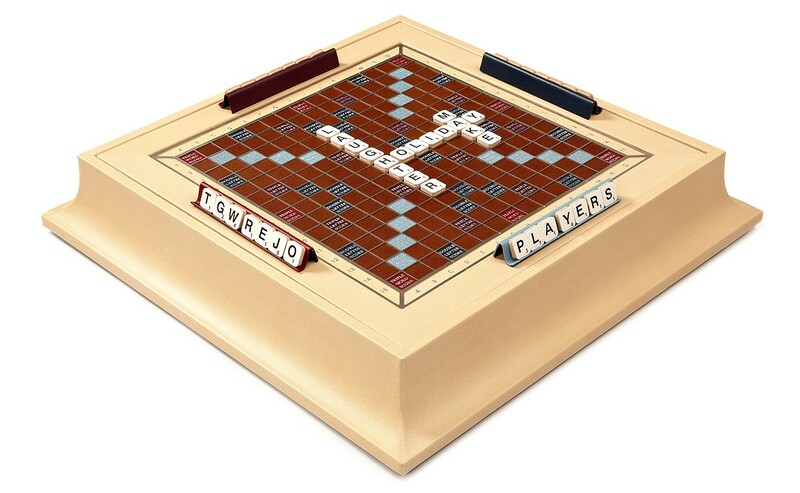 Although learning one more obscure word for Scrabble might not give a player much of a feeling of discovery, it can give a player a strong sense of mastery, a sense that they are getting closer and closer to maximizing their skills. As one might expect, the pleasure of mastery requires one to play the same game hundreds or thousands of times. Unlike discovery, which can wane with each play, the pleasure of mastery only gets stronger with each small improvement in your skills. Chess players memorize every opening possible so that they have a strategy prepared for each opponent. Scrabble players scour their dictionaries for words to maximize their scores. A fan of the Rubik’s Cube will memorize the series of twists necessary to move each square to the point they can solve a cube almost instinctively. An appetite for discovery and an appetite for mastery are not often found in the same person. Creatively trying new ideas and relentlessly pursuing a goal aren’t easy to combine into a cohesive personality. Yet, together they can give a board game endless replayability. When the player feels most unsure about his skills he can enjoy the process of discovery and as the game starts to become familiar and predictable, the player can find pleasure and pride in mastering the game.